Maulana said that starting from now, all deviant groups in Islam will be eliminated, only those on Haqq (Truth) will prevail, for Divine support and Power is given only to those who uphold truth – all others will cease to exist. Those who have gone astray have only a short time left to repent and to return to obedience before a major ‘cleansing’ ensues, a ‘cleansing’ that will wipe them out. Even if Allah were to allow, as a punishment, just a single Jinn to wreak havoc in a person’s life, it would surely drive him mad, so what more if other physical and spiritual punishments are also rained down on such a person? Those hidden and open enemies of Islam, who believe that they can destroy the religion, will suffer the fate of King Abraha, who wanted to destroy the Ka’aba. Haqq (Truth) will prevail eventually, even if it looks like evil has gained the upper hand momentarily. Allah’s Plan cannot be thwarted – study how the unbelievers planned and plotted against every Divinely Sent one, to no avail. One of the signs heralding the appearance of Imam Mahdi (as), is the occurrence of major unrest and conflict in the Arab peninsula. Just before his actual arrival, there will be a great War in that region. Maulana hopes that Imam Mahdi (as) will appear this year, as this year’s Wuquf at Arafah falls on a Friday, making it a Hajjul Akbar, and it has been written that our blessed Saviour will emerge in such a year. Look at the ignorance that has enveloped us today – all Arab countries, their citizens and leaders – are turning their backs on Allah’s Holy Shariah, yet they claim to be believers. We are not talking about unbelievers rejecting the Shariah, we are witnessing believers doing so today. Yet, Allah declares any Muslim who rejects the Shariah Law, an unbeliever! Allah says in the Verse above, those who do not judge by the Quran, are Kafirs, the corrupted and the oppressors, and Allah will cut them off, Maulana says. This is how the Fight of Armageddon will unfold. There will come an Army from the Yellow Nation (Banu Asfar) to the Valley of Amuqa in the Middle East, to fight the Muslim Army that will gather in Damascus, an Army comprising eighty groups of people who will fill the entire city. The first division of this army will all be martyred, they will be the best martyrs. The second division will be unable to tolerate the battle, and they will leave. The final division will remain and they will achieve the ultimate victory, they will crush the enemy and push forward until they reach Istanbul. The Hand of Mahdi (as) will be with the third division, although physically, Imam Mahdi (as) will be in Istanbul. (Maulana said in a Suhbah on the 20th of Ramadhan 1426, Sunday, 23rd Oct 2005, in Lefke, that when Imam Mahdi (as) and Isa (as) comes, one third of Maulana’s followers will die, one third will leave (betray) him, and one third will follow him). The Verse says: ‘Allah is with us’ – Allah is with Rasulullah (saw) and Allah is with Siddiq (ra). The whole world was against them – the Jews, the Christians and the Arabs – everyone was opposing them, yet Rasulullah (saw) still said to his Companion, “Have no fear!” Why should we live in fear today, when Allah is with us! Let the false ones (eg Shias) stand on the battlefield, they will not find even one Saint supporting them. Allah had sent 3000 Angels – each with a tailed-Turban, called Musawwimeen in the Verse above – to help the outnumbered believers at the Battle of Badr, and Allah said: “If you are patient, I will send you another 5000 Turbaned Angels to help you.” Maulana revealed that Allah has yet to send this 5000 Angels, and they are poised to descend to help the patient believers in their time of dire need when Imamul ‘Asr Sohibul Zaman (as) is amongst us. Truth must always be the highest point in any struggle. No matter how many countries band together to help prop each others’ demonic regimes up, they will never succeed, unless they are supported by the Holy Shariah, for only then will there be benefit for the masses. This world cannot bear another year of such injustice and cruelty as we are witnessing around us today, hence Maulana is hoping that Imam Mahdi (as) will emerge this year. The next Hajjul Akbar is in 7 years’ time – the world cannot bear such a burden for 7 more years. Now the fruit is ripe for the picking. These are heavenly inspirations and instructions, from the Naqshbandi Golden Chain, and these messages that are brought to believers so that they will not feel deprived of the Mercy of Allah and His Prophet (saw), so that people know that they are never cut off from the Divine Mercy. As an example of such merciful inspirations that are meant to help believers, Maulana instructed all mureeds to get a copy of a Qaseedah known as Qul Ya Azeem and to read it, as a preparation for a massive tsunami that is poised to strike us. Do read the instructions concerning this Qaseedah/Do’a, here. 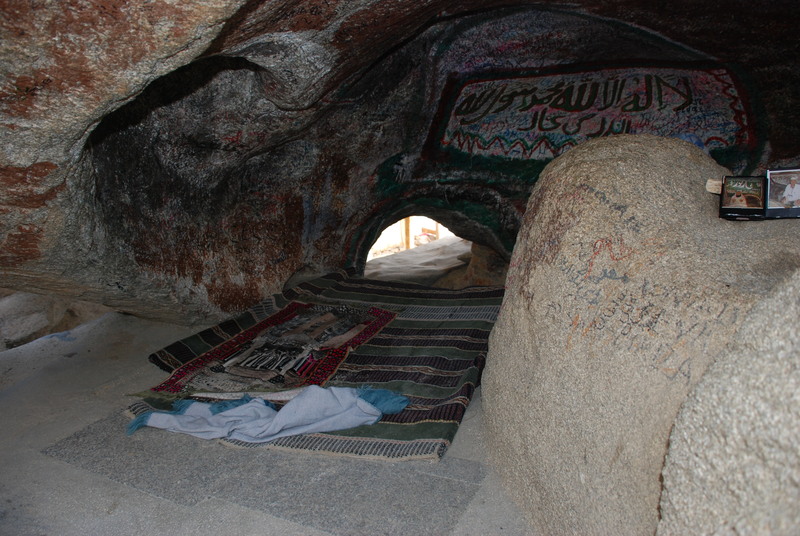 This is the Cave of Thawr, where the Verse 'Fear not, Allah is with us' was revealed to Prophet Muhammad (saw), and his Companion, Abu Bakr Siddiq (ra). Today there are those, who, like Abraha, want to destroy Islam. By manipulating the media, and corrupting the minds of the Community, especially the young ones, they hope to spread secularism and heedlessness amongst the Muslim society. They work beneath the surface, so subtly and subconsciously, that we do not realize that we are being corrupted. So many cartoons, childrens’ books, TV shows, movies, songs and newspaper articles have hidden permissive, immoral and Godless values, being propagated by them. 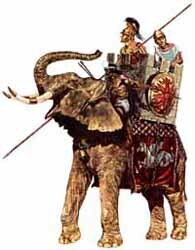 Just as Abraha felt invincible with his elephant army, today, the enemies of Islam feel unstoppable as they wield considerable power – they have money, armies, governments, weapons and the latest technology to ‘spy’ electronically on those they seek to destroy. They control the media and politicians, and with these humungous ‘elephants’, they are dead certain of victory, just as Abraha was. They cannot foresee the stunning and humiliating defeat that lies ahead, as they move in for the kill. Allah wiped out Abraha’s army in the most painful and woeful manner, using just tiny birds to annihilate the massive elephants. It is amazing that Maulana speaks of believers who are on Haqq and who are patient, as these Verses above state that, besides these two groups, the rest are at a loss. The Way of Naqshbandi is also known as the Haqqani Way and it is the aim of every mureed to be on Haqq, as is the aim of every one of the Ahlul Sunnah wal Jema’ah. And it is the patient ones who will receive Angelic help, the Musawwimeen. So all of Mankind are striving for a futile end, except those on the Truth, and those who patiently persevere to establish and uphold Divine Truth. When Imamul ‘Asr Sohibul Zaman (as) emerges, then these two groups mentioned in Surah al-‘Asr, will see the fruit of their endeavours. In the Cave, the Prophet (saw) said to his Companion that ‘Allah is with us’. Maulana said that Allah is with Prophet (saw) and Allah is with Siddiq (ra), and we are blessed to be with the Siddiq of our times; we are with the Inheritor of the Prophet (saw) and Inheritor of the Secrets of Heart of Siddiq, of our Zaman, so why are we afraid of anyone, why are we afraid of upholding the Truth (Haqq)? We must always remind ourselves not to fear, for Allah is with us, and His help is always near. The Musawwimeen are poised, let us await patiently. This 22 minute Suhbah in Arabic can be viewed at www.Saltanat.org, Click here to watch the Suhbah, pick Marked Angel 06 April 2011 (ar) from the side menu. There is a Subtitle button next to the Volume control at the bottom of the screen to choose from eleven languages – Arabic, Bahasa Indonesia/Melayu, German, English, Spanish, Italian, Russian, Mandarin, Dutch, Italian and Turkish. Click the Audio button for a live translation into the different languages. Should the video no longer be there, please look for it under the video archives of the Saltanat TV site. This entry was posted in Maulana Shaykh Nazim's Suhbahs and tagged Angels, Armageddon, fear, Imam Mahdi, Imamul 'Asr, Libya, Musawwimeen, Sohibul Zaman, three groups, Turban, Turkey. Bookmark the permalink.